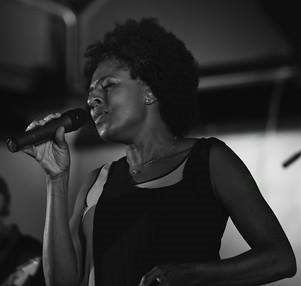 After moving to Santa Cruz, Lisa Taylor quickly built a name for herself through her solo work and also being lead vocalist for her band SoulCity. She has been vocalist for acts that have opened for the likes of Ghostface, Tech Nine, Big Sam’s Funky Nation and Brownout helping build her profile further and contributing to her previous album Let Love Shine being a best seller on a number of top distribution sites.“Let Love Shine” was picked up for distributed throughout Japan on The Sweet Soul Records label. Her single “Funny Feeling” was released in 2014 on the label’s “World Soul Collective Volume 3” compilation album and her single “Shy Gurl” was released January 2015 on their “Evolvin’ Soul Phase One” compilation album. Her last single Intuition received regular play on indie stations both overseas and stateside. Her EP of the same name will be released in 2015 and is co-produced, mixed and mastered by L. Henry Sarmiento of Ibiza’s Sonic Vista Studios. (Lady Gaga, 50 cent, Ne-Yo, David Guetta, MTV’s Ibiza Rocks, and many more.) Be on the lookout for her next single from the EP “I Love You” due out in late January.